Currently, the “greening of Michigan” seems be centering on Michigan alternative energy. Former Michigan Governor Jennifer Granholm signed into law an energy plan focusing on renewable energy sources such as wind and solar energy and hydro power for Michigan’s future energy needs. The package mandates that 10% of Michigan’s energy will come from sustainable sources by the year 2015. It also ensures the creation of tens of thousands of new jobs in Michigan in the renewable energy industry. The development of Michigan alternative energy also focuses on the use of biotechnologies or biobased technologies, particularly the use of biomass for electricity, biofuel, heat, and raw materials. Biomass refers to the conversion of plant material and animal and municipal waste into energy. It is energy that is both easily recyclable and renewable. Like wind and solar energy, biomass would allow us to replace our dependence on limited and non-renewable sources of energy like petroleum oil and fossil fuels like coal with more sustainable alternatives. This would create a bio-economy for Michigan and the US, as well as across the globe, where there are already many initiatives in place to utilize biobased technologies as energy solutions. Michigan’s rich abundance of natural resources makes it perfectly suited for an economy based on biotechnologies. The production of ethanol, fuel derived from crops such as corn, wheat, and soybeans, is another option. And since the hemp plant has even greater potential than these other crops to provide a sustainable source of biofuel, Michigan would be remiss in not joining the cause to legalize and implement Industrial Hempcrops throughout the state for this purpose, and for it’s other environmentally friendly applications as well. Michigan already has several ethanol plants in operation and is making use of E-10 ethanol blended fuels at gas pumps throughout the state. E-10 has a ratio of 10% ethanol to 90% gasoline. We still have a way to go, however, before pure ethanol is utilized as a primary alternative fuel. The more highly concentrated “E-85” ethanol consisting of 85% ethanol to 15% gasoline is not as widely available and is for use in flexible fuel vehicles known as FFV’s. In fact, you may be driving an FFV car and not even know it! FFV vehicles are specifically designed to be powered by E-85 ethanol, and can even detect the ratio of ethanol to gasoline in order to adjust themselves and run more efficiently. The number of E-85 pumps operating throughout the state is expected to increase in the future as production of ethanol in Michigan increases. Biodiesel fuel is another Michigan alternative energy solution that is currently in production. 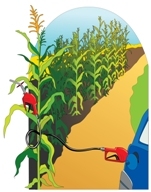 Like ethanol, biodiesel is renewable, biodegradable, nontoxic, and environmentally friendly. It is derived from plant based sources such as refined soybean oil and other vegetable oils and materials. It is a clean fuel which can reduce greenhouse gas emissions. Projects to explore and develop the production of biogas through the use of anaerobic digestors are also underway in the state of Michigan, with a number of companies exploring this alternative energy solution. Biogas is a renewable source of energy which is created from organic waste, and is produced when this material decomposes in the absence of oxygen in a process similar to what happens in the human stomach during digestion! Biogas can be used to generate energy for heat, electricity, and hot water. 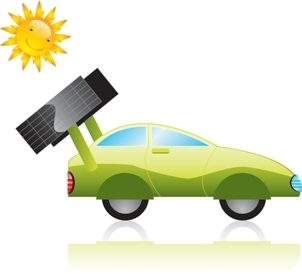 In 2006, the Renewable Fuels Commission was put into place to encourage the development of renewable fuels and energy in the state of Michigan in order to lessen our dependence on petroleum and fossil fuels, and to bring about a more sustainable way of life to Michigan residents. Under the commission, tax free Renaissance Zones have been designated to promote the creation of the emerging Michigan alternative energy industry. Click here to return from Michigan Alternative Energy to State of Michigan.